If your kids have ever wanted to fly, this bungee party is perfect! In this Kids’ Bungee Party, there will be plenty of bungee party games designed exclusively to get your kids off the ground like a superhero! 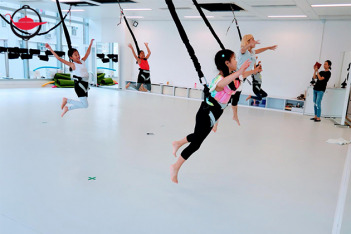 Lead by a certified instructor, they will wear a hip harness strapped to a long bungee, and bounce up from the ground to perform different movements. After they learn all the basics, they will go head-to-head in fun and challenging games, showing off their control and coordination skills. If it happens that you are running out of ideas for a birthday party - just for the occasion, we can even decorate the studio with air balloons and banner for your Bungee Kids Party to make it the coolest one you could ever find for your kids. 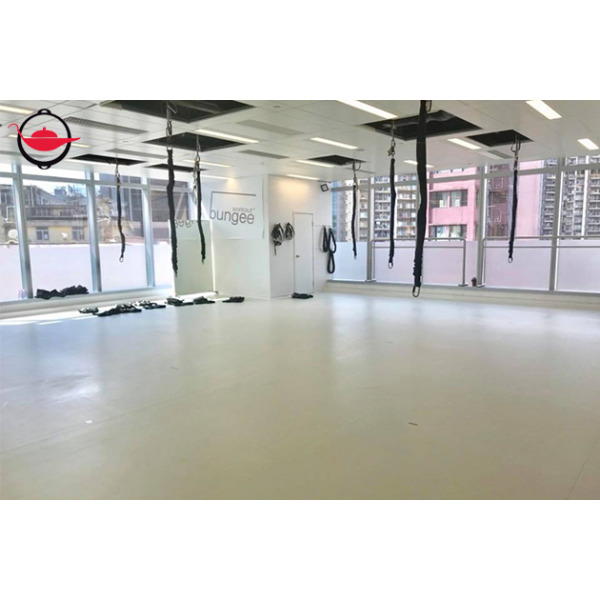 This private studio is clean, big and bright - good for parties, and perfect for nice pictures! Physically Fit - After the experience, you may feel pinching on your body where your bodyweight is being pushed and pull against, but it is absolutely normal! Q: What is a fitness harness? A: A fitness harness is padded for comfort and friction reduction. Q: What is the maximum weight that your bungee equipment can support? A: Our bungee equipment supports a maximum of 150kg. Q: Is there a risk of injury in the Bungee session? A: Compared to conventional sports, the bungee alleviates the pressure on your joints during your exercise. Bungee activities are very safe under the supervision of our certified instructor.